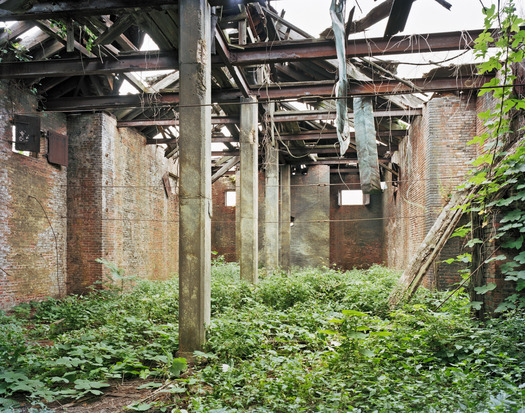 Coalhouse, North Brother Island. All images © Christopher Payne. If you want to see a version of the future you could try to take a boat to an island off the coast of the Bronx. Nature is reclaiming a mini-city: buildings sag under the onslaught of rapacious vines, roofs are pulverized by rain and snow, concrete floors are busted and buckled, and windows have been blown out. Insulation peels from ceilings like bark from a tree. 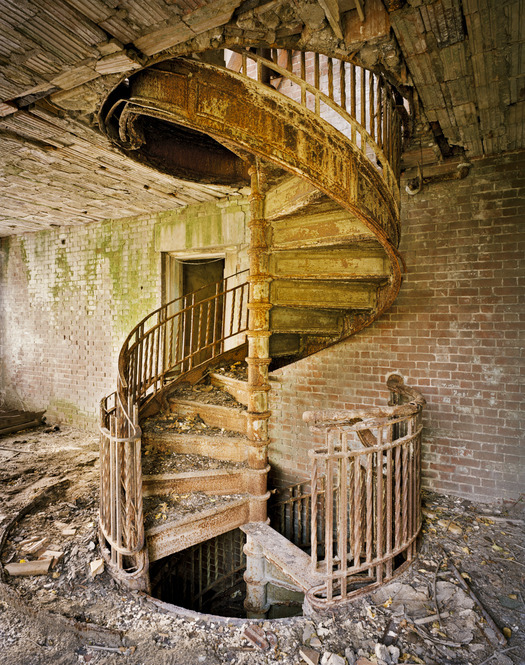 This is North Brother island, the former home of infectious children, adolescent heroin addicts, and Typhoid Mary. In the 1880s it was known as Hospital Island. During one of it’s rare up-swings, in the late 1940s, it housed over a thousand returning vets (and their families) who were earning their college degrees on the GI bill. There was a school, and paved roads, staff houses, and, in 1942, the striking Moderne Tuberculosis Pavilion. But you can’t take a boat to North Brother Island. There are no families, or hopeful vets or even infectious patients there anymore. It’s a forbidden zone, off limits to the public, and it has been for fifty years. It’s now a nature conservatory, preserved as a home for nesting herons, but even they have spurned it for its sibling South Brother Island. Black-backed gulls, herring gulls and osprey nest here, and the vegetation runs to pioneering invasives: pokeberry and poison ivy and kudzu, as well as Norway maples, whose roots draw nutrients from soil only inches thick. 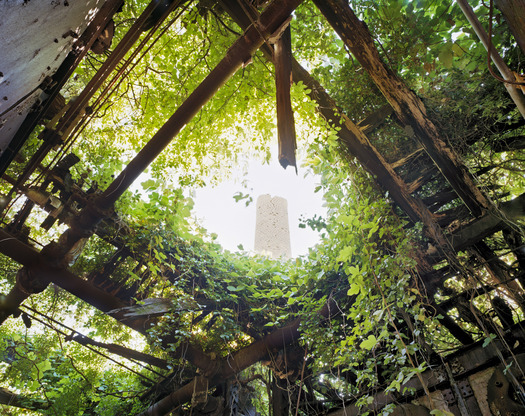 Christopher Payne was drawn to this place, an island hidden in plain sight, a forgotten place just ten minutes from New York City. 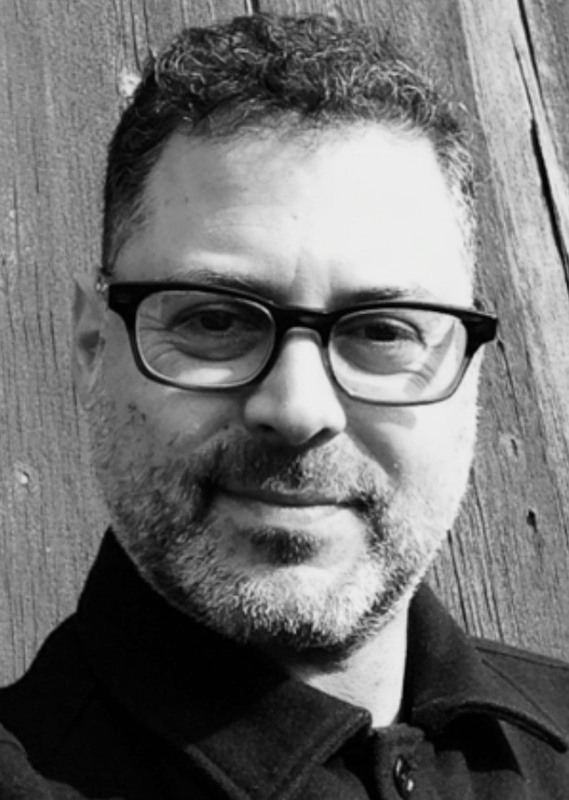 He is a former architect, trained to design buildings. 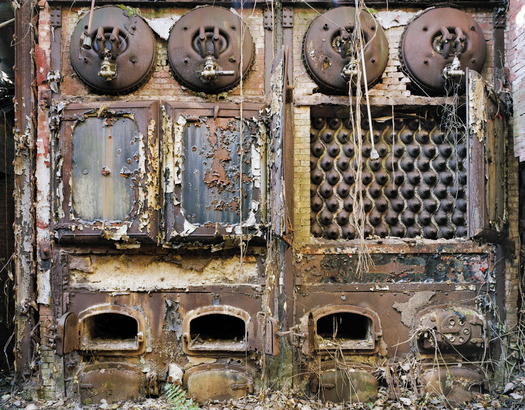 North Brother Island, he writes, is a lesson in how they fall apart. And fall apart they do, picturesquely and spectacularly. 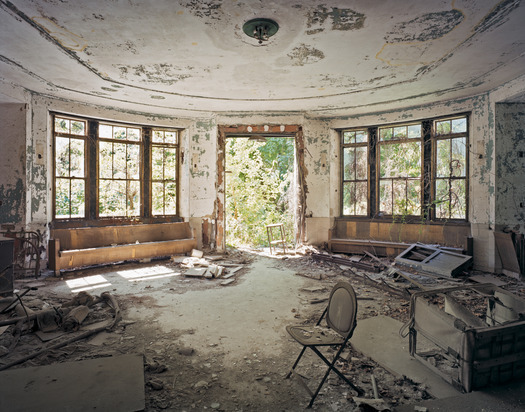 The images in Payne’s book, North Brother Island, take their place in a visual lineage of ruins: from Giovanni Piranesi’s 18th century engravings of Roman ruins, though photographs of Dresden after the Allied bombing, Hiroshima, and Robert Polidari’s photographs of post Katrina flood ravaged interiors. 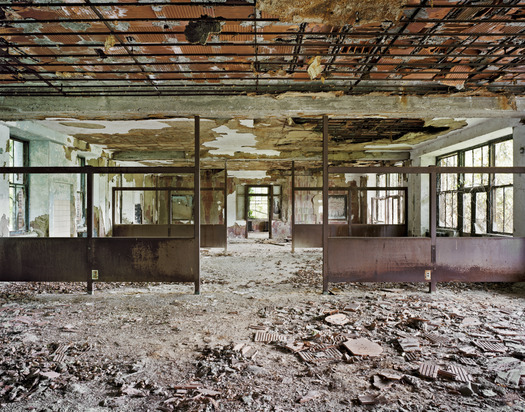 Although there are no bodies, disease and death haunts these empty and disintegrating buildings. If the 20th century was about the technological sublime — the Hoover Dam, the Empire State Building, the Moon landings — perhaps the 21st century will be about an ecological dystopia where nature responds forcefully to human encroachments. As a NASA scientist said just last week, the melting of the west Antarctica ice caps is “really happening. There is nothing to stop it now”. In just one hundred more years sea levels could rise as much as ten feet (to put that in perspective, a rise of just four feet would flood land on which 3.7 million Americans live — including New Orleans, Miami, New York and Boston). 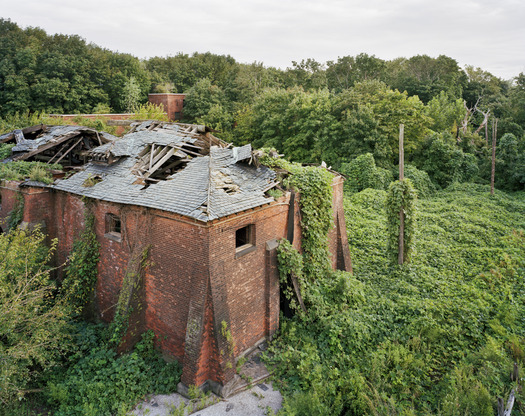 North Brother Island is, on a smaller scale, what our cities might look like if we humans upped and left.